BOSSY BETTY: Betty's Year in Review. Part Three. In 2012 I started dating someone. I found it a little hard to believe myself. I had never expected it to happen. Dating? After thirty years of being married? The thought bounced off my brain cells. No absorption. None. No admittance. When friends would hint at the fact that I someday would once again enter the dating world, I shook my head, crossed my arms, and planted my feet firmly on the ground. Nope. Never. That just wasn’t going to happen. For one thing, I was a fifty-three year old woman who had just been dumped by someone I thought would love me forever. Who was going to want me? More importantly, I swore I would never put myself in such a vulnerable place ever again. There was no way I was ever going to serve up my little pink heart on a platter again. The pain I was feeling was nearly unbearable. I would never put myself in a position of having it happen again. It wouldn’t be worth it. One day while looking at my Facebook, I noticed a message I had inadvertently overlooked for a couple of months. When I opened it, I found a note from a Certain Very Nice Man, expressing his condolences at the news of the death of my marriage. It was a sincere and beautifully written note from this man who I knew through some friends. I had met him fifteen years ago and had seen him perhaps five times over those years. We had always enjoyed talking to one another at parties, but there was certainly no romantic spark, just the happiness at finding someone who enjoyed wordplay as much as I did and who had sense of humor much like my own. He was, I am happy to say, one of my very first Bossy Betty readers and has remained a consistent one throughout the years. Throughout the divorce proceedings, I found that those who had gone through the same experience were generous with their time and empathy. So many people called me up and told me they understood what I was going through and let me talk my way through the fog that surrounded me. I understood that he was one of those kind people. I thanked him for his note and told him if he was ever in the area visiting our mutual friends (he lives about 50 miles away) to come by and we’d have pie together. He wrote back that he would love to have pie with me someday. I suggested a walk too and he agreed. About two weeks later he came over. We were off on our walk we talked and talked and talked. Ten miles later, (yes, ten miles) we wound up back at my house. We indeed had pie and said our goodbyes. We began to write more letters on Facebook. We took more walks. Little by little, I found myself drawn to him, but each time I pulled myself back. I told him there would be no relationship at this point. We talked on the phone. We went out to dinner. We strolled along the beach. We talked and talked and talked. I was a mess at times. I was not at other times. I loved talking to him. I looked forward to seeing him. He never pushed things. He always respected where I was in my emotional state regarding the divorce. One day after one of our walks, he left to go home and I realized I was falling for him. It scared me to death. I decided to put the brakes on. I couldn’t handle all the emotions I was feeling. What was I doing anyway? Oh no. I couldn’t let myself fall into another trap. And yet…being with him made me feel wonderful. He viewed me as I wanted to be viewed. But it was too soon. Shouldn’t I give myself more time to mourn the death of my marriage? Nope. I couldn’t risk it. These voices in my head ran around and around. I spent sleepless nights grappling with all I was feeling. I decided one night that there was no way I could continue on with the relationship. It was too soon. I went to bed, sad, a little depressed, but thought it was for the best that I call everything off. The next morning when I woke up I actually heard a voice loud and clear. It was like a holy Bluetooth directly in my ear. The voice said in a clear and distinct way, “You are being given a gift and you bat it away like it means nothing. Accept it. Embrace it. Be grateful for it.” I sat up, my eyes wide open. As I looked back on it, I realized I had been trying to make my own timetable for when things should happen, and yet, it was happening another way. I realized I had to stop trying to make up a schedule for something that was beyond my control. How many people hunger for a relationship like I was willing to pass up just because I was afraid I would get hurt? I relaxed and started to enjoy the relationship, started to cherish it for what it was, and decided to let it develop as it would. Was there a chance I could get hurt? Yes. However, if I never gave it a chance I might miss out on something good, maybe something I was meant to have. I am so grateful that the universe sent me the message it did. Because I can be a little thickheaded, I do believe that it might have sent me another the next time I was over visiting that Certain Very Nice Man. I walked into his bathroom to find his jeans flung over the hamper with the label clearly visible. 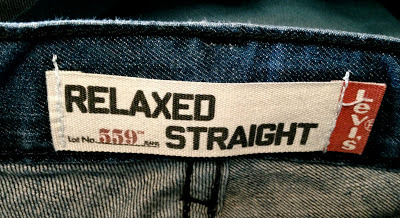 Relaxed AND straight? What more could a nice heterosexual gal want anyway? And glad you found a relaxed and straight man! God has His own timetable and it rarely coincides with what we think should happen. Wonderful. It's always wise to listen to the Universe. Very happy for you, Betty! You deserve such happiness! Good things always come from 10 mile walks. So happy for you! Young love (yes, I said young!) is so sweet. But you know there will be some work down the road? You are not thickheaded but careful and wise. Going at your own pace and then realizing it was time to skip is perfectly wonderful! I am happy for you and all of your readers LOVE a love story. Another ride with ups and downs but if you are not on the rollar coaster you might as well be dead. "...and you bat it away..." Are you sure it wasn't one of the cats whispering disapprovingly in your ear? Seriously, I'm sorry it was so hard for you to let yourself sink into the joy of falling again. But I would have done the same thing! ACVNM sounds unbelievably mature to allow you to be as wishy-washy as you needed to, in the meantime. I love reading the progression of this relationship, dear Betty. And my heart is full to see that you listened to the message, and are opening your heart to this Certain Very Nice Man. We have one life to live, my dear, and I am happy you are living yours to the fullest and being true to your heart. Happy Dance for Betty!!! I'm so happy for you. I understand your misgivings but we cannot control when good things happen. I wish that for my sister, widowed for two years now (second marriage). She went on her first date last Saturday, no sparks or anything, but at least she has opened herself to the possibility. She's also the one who went through a similar experience with her first husband...boom, out of the blue, I want a divorce and I'm moving out. he was having an affair with his business partner. Nice find,I found I like intermittent relations,but enjoy my solidarity also. smiles...very cool on your bluetooth call from the HP...and glad you listened as well...it def takes time, but when its right, its right...smiles. It's nice that you heard the message and didn't let the past hurt, influence the future happiness. BB there is a time and a place for everything and I am a firm believer in things happening just when we need them to happen in spite of our 'plans'!!! WTG CVNM....for being such a good friend just when BB needed you. So happy I read this. I've recently learned to go with the flow and not let my fear, inhibitions, and negativity get in the way. Life is wonderful and should be embraced. If it falls apart, it falls apart. If it blooms, it blooms. In everything, hold on to joy and laugh because it's worth it. Thank you for sharing such a touching, great story. Does my heart good to read that you have found love again. You deserve it. I'm where you are now too! Yay we made it through the rain! 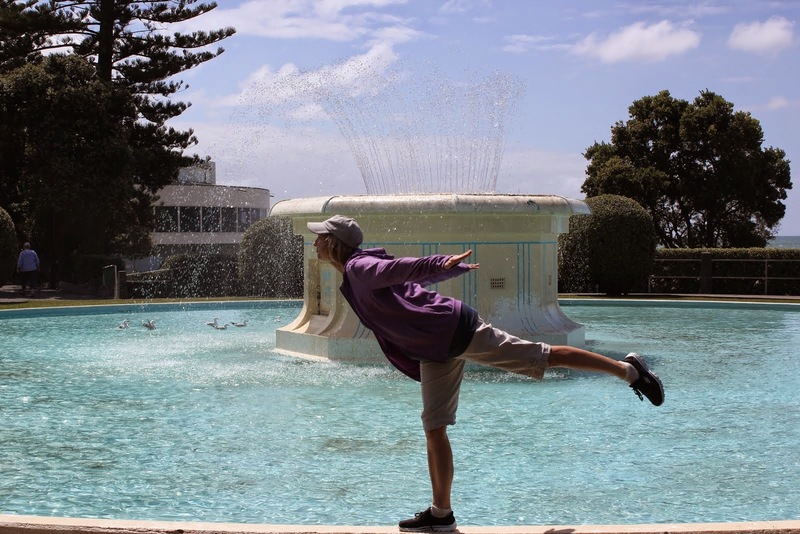 I definitely had back and forth moments and lots of tears and walls sometimes, but a few months ago a sudden peace descended over me and I knew I was free of the past. Isn't it wonderful, Betty! I'm so happy for you! What a cute, on the mark, sign. So glad you found your happy. 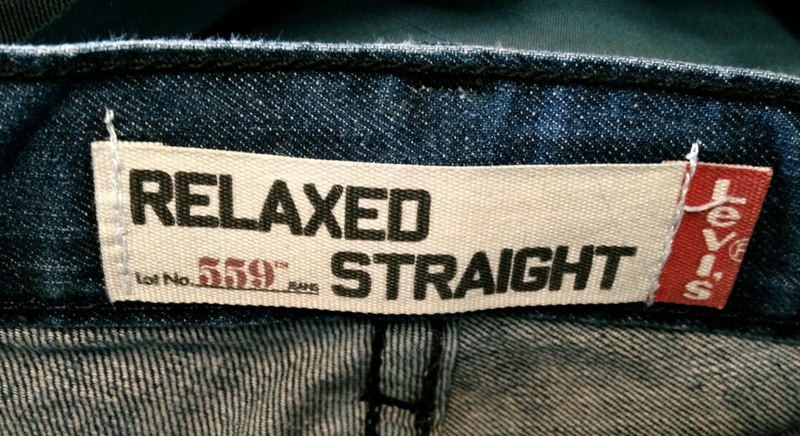 I'll take a pair of those "Relaxed and Straights". Actually, just one will do. I'm very happy for you, Betty. He sounds like a keeper, and we all know you are worth keeping. Well, if you find that timetable for when stuff is supposed to happen, you just let me know, Okay? That's just life. People will tell you that "now is not the time" or "you should wait"...but why? I'm glad you trusted your heart and took the dive. I say that you are lucky your heart is still working after what you went through!! Hooray for Betty! I am so so happy for you that you have found happiness again. Someone to enjoy the 'good things' in life with is truly a beautiful thing! This post makes me so very happy! Oh how wonderful!! Congrats...I am truly happy for you both. Does that Certain Very Nice Man have a brother? By any chance? Too, too cute. Love it. Hi Betty - what's to be is what's to be .. thank goodness you didn't 'throw' it all away!! Good for you for listening! I often have to be hit between the eyes with a 2x4. No, not often. Always. Sheesh. I'm so glad you posted about your certain very nice man! Oh, it is so hard to open yourself up to that vulnerability. But I know you're glad you did, and I'm sure Mr Very Nice Man is too. :) Good for you for listening. You are loving and loveable. Love is bound to find you.